This entry was posted on Monday, February 17th, 2014 at 1:30 pm and is filed under Toy: 2000. You can follow any responses to this entry through the RSS 2.0 feed. Both comments and pings are currently closed. The ’99 or early 2000 show included on the live at the Beeb package smokes, particularly “Stay.” Nice to hear “Let’s Dance” in its original 12-string acoustic version too — for a few seconds. The Beeb set was brilliant indeed! I do enjoy that Beeb set. The old radio shows and the then current live recordings are great. The Beeb recordings of a number if these songs are my favourite. I will confess to hearing some of the Toy stuff, but not that familiar with it. The Glasto show with greatest hits setlist were probably the best thing for him to do at that time. After years of playing mainly new stuff and obscure old songs it was nice to hear (some of) the hits again. But… the way they were performed was I think a bit uninspired. But since the 2000 dates everybody apart from Mike Garson did almost note for note recreations of the album versions of the songs including the sounds. I understand that choice for the 2000 dates since there was no album to promote. But for the Heathen and Reality tours to still follow that format was a bit boring I think. I think I’ve completely worn out that CD. Love this show. Nice one. By which I mean the blog entry of course, not the song itself. There’s some nice musical moments in there but it’s hardly a song at all. Some things should stay buried. The song’s OK, not wholly realized for sure. But the band does sound “cracking”. The BBC vwrsion of Stay is superb. Great entry, really fascinated by this era of guilty pleasures. Broadcast a fabulous band to quote – a band who took a retro mindset and used it to create some of the most enduring music of their era (IMO). The notion of creating new sounds from the under-explored possibilities of the past has been responsible (or partly responsible) for so much good music in the last 10 years (ie the whole “hauntological” scene in the UK, Oneohtrix Point Never, Ariel Pink), and yet there remains for me a lingering unease about the music’s retromaniacial heart. As ever Bowie is there, or somewhere near there anyway, with the Toy concept. I remember seeing the TV broadcast of the BBC Radio Theatre set and having very mixed feelings – amazing setlist, but hadn’t the psychic baggage of the Sound+Vision tour taught me to self-flagellate for enjoying these songs? A great band, but is Earl Slick for Reeves Gabrels a fair trade, and what does it speak of Bowie’s intentions? This nervousness about “edginess” was a defining part of Bowie fandom for me – having lived through Tonight, one was always acutely aware that it could possibly happen again. Anyway I am greatly looking forward to the Heathen/Reality entires – and perhaps in the process better understanding my own mixed feelings about the past colonising the present, and the disappearing future. Thanks as ever for this beautiful project. I mentioned earlier that Bowie was sort of treading in similar waters as Stephin Merritt around this time with his knowingly earnest embrace of the classic/cliche, yet Broadcast was a group that seemed to have taken the basic sound of early Magnetic Fields: whirring and sputtering synths with lovely ghostlike female vocals. The approach yielded some really rich material, and this of course was far edgier than what Bowie was doing with his creaky retro ghosts. I know what you mean about nervousness with regard to artistic trajectory. At the time of Hours and Heathen, I was worried that the weariness and whimsy of the era were symptoms of a more permanent decline. Now that we have The Next Day, though, I know that Bowie was not destined to devolve into a doddering Algeria Touchshriek—he’s embraced his inner Ramona again at last. So I can go back to these albums and enjoy them for what they are: excellent late period works that happen to flirt with softer, simpler sounds. As a guitarist myself I was utterly dissapointed by the return of Earl Slick. Like you mention he’s a pretty stock character. I don’t understand why Bowie has kept him in the band for this long. Bowie always had a very good radar for finding interesting guitarists to color his music. Gabrels, Belew, Frip and Alomar are instantly recognisable on the songs they play on just like Garson’s playing is on piano. Slick however seems to sound like any guitarist in a pop/rock band who just seems to use one distortion effect the entire show. I do believe Bowie lost edginess from this moment on. The Glastonbury gig to me was the start of him embracing his ‘rock god status’ and starting to live up to the expections that come with this by making his show nostalgia trips. I like the Toy sessions; I can’t say I dislike any one song. But a good portion of it is merely pleasant, quite easy to forget or ignore. “Hole in the Ground” is a case in point. What does this song remind me of? I guess I’m picking up on notes of Solsbury Hill and Dancing Queen…but is there something more obvious I’m missing? As you say, we don’t know what its original incarnation sounded like, but if you take “Shadow Man” as a reference, it would likely be very similar to the re-recorded version, minus some arrangement flourishes. Mostly though, the album feels like a warm up for what he eventually realized on Heathen (of course including those original songs). I love love love love love the Liza Jane remake. It’s filthy, sleazy and utterly, utterly wonderful. It’s a Bowie canon favourite for me – and I’m not even quite sure why. I can’t think of much else like it in his canon. And I agree on Shadow Man. There’s a few songs on Toy where Bowie’s given space to really push his vocal – and those are the ones I love. You really get a sense that Bowie and those around him had high hopes for Toy – which makes me feel kind of sad that it didn’t work out as they’d hoped. As it is, we got Heathen out of it – and I for one wouldn’t change that for anything. As a side note – like everyone seems to have *their* Doctor, the Heathen/Reality Bowie – seeded in the Toy sessions – is my Bowie. When it came to exploring Bowie for the first time as a young music (well, Kate Bush and Talking Heads) -fan I started with Let’s Dance and RAFOZiggy Stardust, and stopped there, (weirdly, years later I like the former a lot and hardly ever bother with the latter). For whatever reason neither connected. & then, about two and a half years ago my then-girlfriend needed a place to crash for a while due to a bereavement. I was living at home and her staying with my mother for any amount of time just didn’t work, so the two of us decamped to this crumbling old country mansion owned by at least one Bowie fanatic (middle-aged, gay). While knocking around I saw they had a copy of Reality, which I only knew as one of Bowie’s more recent, middling efforts. I put it on one night, loved it, and was just staggered by Disco King, which I played again and again and again. I genuinely couldn’t believe that this was the Bowie albums I’d heard so casually written off. I remember thinking at the time how sad it was that it was probably his last album, and we know how that turned out. 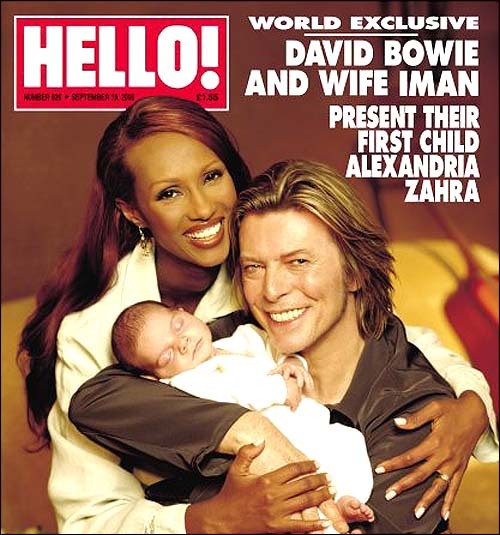 As a side note to this – (yeah I’m rambling) the most infuriating thing about Bowie’s comeback was how almost every UK news profile seemed to dismiss – sometimes vehemently – Bowie’s last few albums. I really think most probably hadn’t heard them very recently. I keep hearing Springsteen’s ‘Human Touch’, the keyboard line is quite similar. Quite excited to read and learn more about the Toy era. I find it funny to hear such a well put band play a rather mediocre song. Another ghost song (along with “Black Hole Kids” et.al) I’d love to hear one day is “One Paper Left”. It sounds like the lament of a roll-up smoker. Perhaps Nick Drake got in first with “Five Leaves Left”. As always, your research is astonishing. I often wonder whether it or the actual writing consumes more of your time, and I expect that you have a source or two whom or which you aren’t able to reveal yet, if ever. Is there a typo omitting the word “what” from the following? So did Bowie intend with his own “Sixties record”? David should have dug a very deep hole in the ground and thrown his copy and George Underwood’s copy of the original song in there. The song stinks. Having said that, the performances are fun and energetic. If he wanted to go in the studio without new material, David would have been much better off recording some forgotten gems by other artists, a Pin Ups 2, instead of revisiting this turkey. Didn’t Earl play with db at Live Aid in 1985? Earl didn’t play at Life Aid. But he did add a lead solo to Dancing in the Streets – (maybe only on the 12″). I don’t think Bowie was in the studio when he did that. Jagger brought the tapes to New York and brought Earl in AFAIK. This is my weekend’s listening sorted. I gave Hole in the Ground and Shadow Man a spin. The former could seriously do without the synth-pad, there is no excuse for using synth-pads – ever. The latter is lovely (I can imagine Elvis Costello making a good fist of Shadow Man). I do think Bowie’s songwriting ability is as much his talent as a bandleader as a solitary composer, specifically as someone who can put a specific combination of musicians in a room to encourage a specific effect – bringing a song like Shadow Man to life. I quite like Hole in the Ground. It’s just a sketch fleshed out really, but there’s nothing necessarily wrong with that, in my book. On Earl Slick, I like the sharpness of his guitar. I think it brought a punch back to John Lennon’s sound in 1980 (controversial opinion, I know), and I think gave Bowie’s sound a fresh impetus after Hours. Well written as always, but i have to say even though chronologically they seem related, the nostalgic concerts and the toy project have two tottally different artistic concepts in my ears – and that’s why to me at least the analysis feels kind of lacking this time. Fundamentally, nostalgia is a shared emotion, the kind you feel during “remember when” conversations, and some-what because of that quality it’s always suspicious of being cynically commercially used. That’s also why these concerts feel a bit like bowie is surrendering to his own myth, finally willing to embrace that sort of fake, commercial nostalgia in his work. But “Toy” is a completely different beast: It’s bowie embracing his most obscure moment, the one moment most fans have almost no interest in. To me it sounds less like the classic form of nostalgia and almost more like a kind of personal attempt at reconciling with inner demons – almost an exorcism. That doesn’t mean i’m a big fan of the project – it’s actually surprising how many of the original takes are better, more loose then some of the stiffer versions in “Toy” – but i think it nakes the project valid for re-assessment as more then pure “nostalgia”. What is it, then, if not nostalgia? I’m not sure, but i’ll sure keep thinking about it. i’ll just say that you’re quite right about this difference and pls recognize that this entry isn’t over yet! to be a bit more clear: the four Toy essays are going to be, in a way, one long one. Can’t wait to read the rest of them! I agree: either pick a song to improve, or a song that would be interesting from a different perspective. Shadow Man is a success of the first kind, and Liza Jane of the latter, but most of the picks sound better in their original form. Here some possibilities that I would have liked to have been included. I think it’s begging for a spikier rock redo, obviously still as silly as ever, but with more of an edge. As for the gnome voice, there are plenty of ways to change it up, including his creepier vari-speeded vox (e.g. Bewlay Brothers or See Emily Play), or even Gail Ann Dorsey giving it a try! It would be ig-gnome-mini-ous if I couldn’t knock that dwarf! I’ll get to work pixie soon. I suppose you could make it sound a bit more sinister, like say, Waltz In Black by The Stranglers. But the overall silliness of the lyric, complete with bad puns and all would still prevent it from having any edge. I feel like I’m in a minority here when I say that I was disheartened when Bowie dropped the embargo on the ‘hits’. I always felt Bowie’s post-1989 catalogue and ‘relatively’ obscure tracks were strong enough to provide a fresh and great set-list. It was disappointing that he seemed to be resting on his laurels again. Then again, it only really applied to the Outside tour even the Earthling gigs had a few of the classics. At least the decision was his and he didn’t feel obliged to start playing them again, although I do wonder if the underwhelming response to ‘Hours…’ made him think he would have to something to renew his appeal. I completely agree with you, although I must say it was fun to hear some of his greatest hits again for the 2000 dates. I was dissapointed that they remained in the set for both the Heathen and Reality tours. I went to both Heathen and Reality shows and both times the setlist and the way the songs were performed were almost identical. I’m getting ahead here (apologies) but when I saw the Reality tour I was really impressed by the setlist mix – the Heathen/Reality material was given a lot of weight and I felt it held up incredibly well against the older stuff. 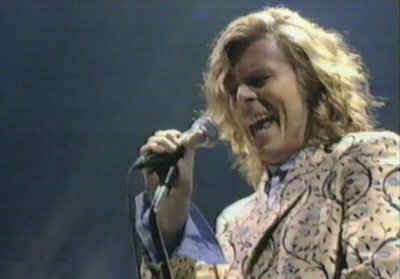 On a personal level, the Reality tour was my first opportunity to see Bowie live (I live in Australia), so I couldn’t say I strenuously objected to Life On Mars? and Heroes getting an airing. Just popped in to say Bowie’s Moss Brits speech has gone down amazingly. I thought the stuff about Scottish independence was very odd. I’m not sure what the motivation for weighing in was at all. Absolutely. I don’t want to choose between being a Bowie fan and being a pro-independence Scot, so I’m going to assume (since Bowie will certainly not be elaborating) that the “us” in “stay with us” refers to bisexual pantomime genies and extraterrestrial dukes. We Scots will always stay true to those things, in our fashion! Maybe he threw it out there just in case…’cause he can never really tell when somebody wants something he wants too. We had a referendum here in Australia a few years back on whether we wanted to become a Republic. I voted against it, even though I despise the royal family with a passion, because, as an English person, I didn’t want the Aussies to turn their back on their roots. Honestly, I rarely take anything he says too seriously so I’m just laughing at the fact Bowie’s controversial again. Haha. in re: Bowie’s statement, I’ll just say that he’s approaching 70 years old and is an expatriate with perhaps rosy and not-quite-contemporary views of his old country. If my Cork-born grandfather had a chance to make a public statement at age 65, he may have said something about a unified Ireland that would’ve irritated countless scores of people. Maj, if you don’t mind a personal and “speak as a representative of your own country” question, is there any regret about the split of Czechoslovakia? Or is the consensus that it was a good (or necessary) thing? If Bowie’s political statements can be discounted because he is approaching 70 and his views are not-quite-contemporary, can we discount “The Next Day” on similar grounds? I’m not “discounting” his views, I’m giving one possible context of them. I would discount Bowie’s political views because he has always demonstrated a marginal grasp on politics with the Victoria Station salute being the most egregious example. However, I would not compare him to an out-of-touch grandpa since it sounds like ageism. the Victoria Station salute he didn’t actually do? that one? I just read it now. It’s a very good piece. However, it doesn’t change a thing. Station to Station is a great album and comments praising fascism or Hitler are dumb. There isn’t a paradox here. Bowie’s area of expertise is rock. Politics isn’t his field. When politicians venture into music, the results are similarly disastrous. Circling back to the original point, if you are going to critique his comments on Scotland, I suggest doing it on the basis of his dubious political track record, not his age. In response to Mike F., I would agree with Chris that one’s age can be a useful way to contextualize one’s political views – the greater likelihood of seniors voting Republican in the US, for example. I also wouldn’t dignify DB’s coke-inspired ravings about Hitler in the mid-70’s by characterizing them as representative of a coherent political “viewpoint”. I confess I don’t see a link between them and DB’s current views on Scottish independence at all. Reluctant though I am to stir this up again, I think it’s worth saying that asking Scotland to “stay with us” is not a fringe political stance. I hope Momus will agree when I say there are pro and con arguments with regard to Scottish independence. From a selfish point of view as an Irish person in Dublin, I am a little worried about the wider consequences of Scottish independence on the UK and Ireland, and particularly on Ireland, where it would almost certainly throw the cat among the pigeons in the North. Maybe this is part of DB’s thinking too. Fear of the wider consequences of independence. I do understand the emotional tug towards independence though. I’m certainly glad Ireland is independent now rather than part of the UK. Historically you have to understand that the union of Czecholosvakia was only done out of necessity. Slovakia used to be part of Hungary, not autonomous, and it was only after the Austro-Hungarian Empire dissolved at the end of WW1, that the Slovaks could see any chance of being more or less independent. On their own Hungary would probably invade them, so an alliance with the Czechs was pretty much their best option. (Apparently most of the activities of Czechoslovakian intelligence was related to the Hungarian threat up until like 1937, they gravely underestimated Germany also bc. the Hungarians had kept them busy.) To put it harshly, the Czech lands (Bohemia, Moravia) were much more developed than Slovakia (and I guess Silezia, part of which belongs to CZ, and a larger part to Poland). So Czechs offered Slovaks protection, education etc, and I think in hindsight Slovaks are grateful for it…but later in the 90’s it was time to move on. Apart from our languages being similar and spending most of the 20th century together, as nations we don’t really have that much in common (I think the Slovaks have much closer to the Poles re: religion etc.). I think that on one hand Slovaks are happy they have their own country, on the other hand they do still have problems with the Hungarian minority etc etc. Then there are quite a lot of Slovaks that live and work here, some speaking their own language, some speaking Czech…don’t think it works that well the other way round…basically we’re still kind of viewed as the civilised country…(personally think that view is a wee bit outdated). But the Slovak language and culture still kind of lives with us here. As for us Czechs, I think we’re probably sadder about the split, “we lost” the Tatras and those jolly neighbours. Well, we still have those jolly neighbours but they put a stone wall between our gardens so we can’t see that well what’s going on on theirs. Since Prague was always the capital, it’s now a capital of a smaller country. But for someone living here (in Prg.) it doesn’t make that much difference (you’d have to ask someone living in east Moravia). I know that the older generation, like my parents, and their Slovak friends are very nostalgic about Czechoslovakia and the split but I don’t think there are any really strong feelings about it in general. Not any more, at least. And my generation, and younger, well it’s history for us. I was 6 when it happened, so separate Czech and Slovak republics has been the accepted reality for us. So, basically, the split had its pros and cones for both parties but all in all I think it worked out all right. Not sure if that answers your question, but there you go. Regards the actual politics (and I’ll be careful here) I’m, personally, English and Pro-Scottish Independence. It will mean everything, in the sense that it will pose a question as to the meaning of democracy in Britain, if there are 500+ English MPs but only twenty or so each from NI and Wales, but it would also not change much, in the sense that the constituent parts of the UK are highly integrated. If there’s any historical comparison it’s probably going to be like the secession of Norway from Sweden. But the Bowie thing was either him being playful (‘what’s the easiest way for me to flamebait popular consciousness’) or it’s very odd. No one but no one is going to be swayed by this, though a few might be annoyed. A great entry. I’ve been looking forward to this bit for some time, and you did not disappoint. Thank you! As far as the song goes, I think he must have revisited it while working on “Never Get Old.” There are quite a few similar bits. Also, something to note. The leaked version of “London Boys,” when compared to the two snippets that came officially from Bowienet, hint that perhaps the leaked album is still in a formative stage. The official “London Boys” clips are almost a completely different version of the song with strings by TV. It makes me wonder, is the leaked album mostly rough mixes… and demos? I suspect “Lisa Jane” is a work in progress. The repeated lyric is too simple- what happened to the rest of the song? So perhaps the “Hole In The Ground” that we know, is still not the final version we may some day get. Good to know. Again I must thank you for this blog. Something to look forward to every week. I’ll be buying several copies of the published book for friends, (fingers crossed), as holiday gifts this year. What’s your opinion on how far these songs are from completion? I too have read the chapter in “Greatest Music Never Sold,” and have a few ideas as to why this album never got a proper release. The two versions of “London Boys” may be very telling in that case. “Zig Zag” by Earl Slick is a very enjoyable album. My wife picked it up and I loved it at first spin. 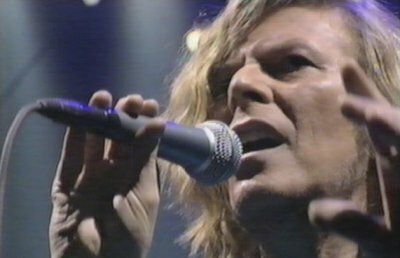 His tone is very sweet and the variety of singers [Bowie, Robert Smith, Martha Davis] makes it a varied and enjoyable program. You may buy it for the Bowie cut, but it’s his guitar that keeps me coming back to enjoy it. Oh yeah, Joe Elliott of Def Leppard also sings on a track, but I think he’s contractually required to guest on Bowie Guitarist solo albums. haven’t listened to that album for ages but yeah, it’s quite enjoyable. I bought it back then for Isn’t It Evening but I think I ended up having other favourites on it. I shall dig it out one of these days. Finally got around to reading this & glad I did. Great entry, Chris! I personally have nothing against artists entering their classicist periods. 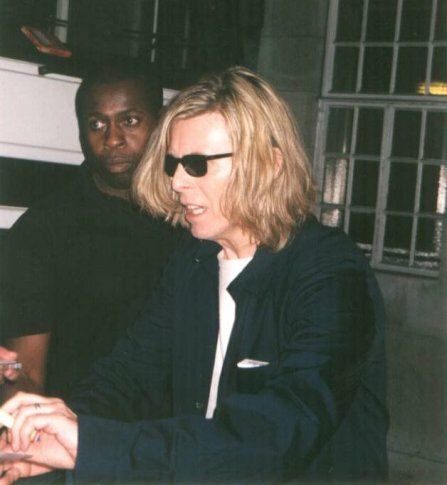 I understand why some might have a problem with it in relation to Bowie but honestly I feel it’s only a natural development, and even though many of us consider dear David a homo superior, he still is just a very interesting, creative and talented guy, buts till only a human. It was bound to happen sooner or later and in his case it came with the new millenium. My personal journeys with certain artists started around the time when they entered the no-longer-chasing-charts/trying-to-predict-the-future stages of their lives and so I have quite good relationship with these later stages of their output. For instance McCartney, Elton, and indeed Bowie have all released consistent, good albums in the past 15 years or so (Macca naturally entered his classicist period sooner), of course people could argue with me on that, but I think the fact they still make listenable music at all should be applauded. Bowie looking back is indeed kind of a hilarious thing though. 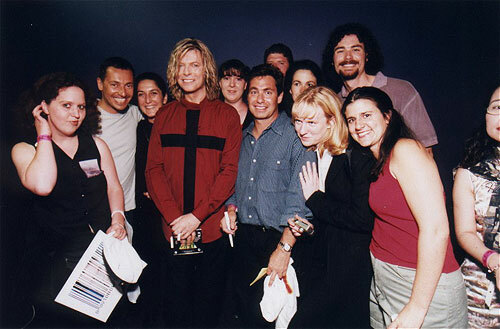 I’ve always been amused by the Toy project, and until the late 90’s entries on this blog I hadn’t even realised how much and how consistently Bowie kept looking to his dear youth at that point – it makes more sense to me now, but it’s still a wee bit funny. But hey, age happens to everyone. I see it in my 4 years-younger-than-Bowie parents. They used to be normal people talking about normal things, but they’ve gradually became reminiscing machines. And as I said, Bowie is just a guy, after all. He only does his reminiscing with a bit more creativity and tongue-in cheek. Blah blah…the song. The song is nice. I can never remember it though. I’ve listened to it quite a few times since acquiring Toy a few years ago and it just doesn’t stick in my memory. I don’t know what I can say about it. 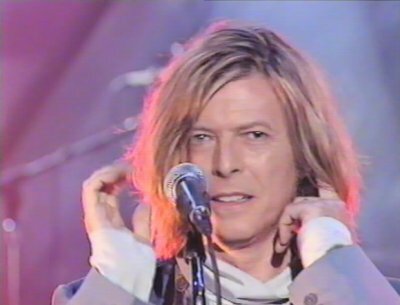 I do like the sound of this post-Gabrels band (Bowie’s live recordings from 2000 are among my favourites), so I guess that has a positive influence on the song for me. The band. And that’s about it. Cute. Nice. …”reminiscing machines.” I like that. I find it happening quite a bit even in my thirties, so I can only imagine what I’ll be like in my sixties. Bowie had his moments of looking back even at my age, with Lodger (and arguably earlier with Hunky Dory). Another man accepting his age around this time was David Byrne. I see Look Into the Eyeball and Grown Backwards as somewhat akin to Bowie’s Heathen and Reality. Both sets seem resigned, yet graceful. I’ve only seen him once, on the Songs of DB/Brian Eno tour, the soul-pop reworkings of Bush of Ghosts tracks were stunning. I was neck high in exams when he was touring with St Vincent but I was gutted to miss that. I feel indebted to David Byrne on a really, intimately personal level 0 for Stop Making Sense alone. I can say with absolute conviction that I wouldn’t be who I am today without that album – I can’t say that about any other piece of music, or films or books for that matter. I grew up in a household that really had no interest in music – the only CDs I any of us owned were by a couple Christian rock bands, in addition to my brother’s two singles (It Wasn’t Me by Shaggy and Clint Eastwood by Gorillaz, if you’re interested). Worst of all, my mother had this orange cassette tape – our only tape – of covers of novelty hits (That’s Amore, The St Winifred’s School Choir) that was always played on long journeys in the car and had conditioned me – Clockwork Orange-style – into thinking all music was bad. I can’t even communicate the feelings I associate with that particular collection of songs. I was really into movies, and saw Stop Making Sense when the DVD was given away in with copies of the Observer. It’s captivating from the first track, and by Burning Down The House I was hooked. I had no idea – no idea at all – that music could ever be that good. I wouldn’t be sat reading this blog without it. Funny, sounds like my experience wasn’t too different from yours. I was born at the zenith of the Moral Majority in the US, and I grew up with only a handful of LPs that my parents had. The ones that weren’t Christian contemporary schmaltz were Mary Poppins, The Clancy Brothers and (of course) Bob Dylan’s “Saved.” Byrne and Bowie weren’t my firsts, but they were both extremely important as heroes and role models of a sort. Bowie taught me that subversion doesn’t have to be lunkheaded shock tactics, and Byrne helped me own my nerdier inclinations. I got to talk to David Byrne within the context of a book signing (The New Sins), and it was…awkward. But appropriately so. I love Grown Backwards but haven’t listened to it in ages. Oh man, now you’ve made me all nostalgic. Oh the irony! Being born in the 2nd half of the 80’s or early 90’s I think naturally results in having discovered many “living legend” artists at their classicist periods. I don’t know, but I just don’t view the work of at least half of these guys’ (and gals’) as no longer inventive and creative. Just, as you said, s. t., accepting their age. I think one’s approach to life and work naturally has to change with time and age. I get the whole frustration with the so called ‘classicist period’ when looking at Hours and Toy, but the albums after – especially Heathen and TND – are legitimately great albums in the Bowie cannon, and I don’t think they should be diminished by putting them under a ‘classicist period’. I’m really late to the party this time, I’ve been on the road the last couple weeks and despite having been able to read the recent posts, I’ve been engaging with unstable wifi connections so I couldn’t get out any comments in until now. The connection at this airport seems stable enough so I’m going to have ago at getting my thoughts in. Firstly, I’m very excited to be into Toy discussion because all I knew about this song collection was that it was an unfinished project that was never officially released and that much of it was Bowie revisiting his oldest material. You know, the obvious stuff. So knowing that Chris was going to be writing about this period had me anticipating some fascinating new incites into this rather shadowy (no pun intended) period and I’ve not been disappointed. (Gushing) I’m always so impressed by the level of preparation that goes into every entry on this blog but the intel you’ve managed to gather about the Toy project is fantastic. The fact that David came back around to his earliest works at this time isn’t surprising. With the arrival of the new millennium and his daughter it only makes sense that he’d find himself re-examining his roots. Plus, while on a semi hiatus from his musical career in order to be a family man, what better project to keep the band connected and his musical juices flowing. For me, I’m glad it was never a fully realised official album because it’s much more fun as a half finished experimental project. And, personally, the fact that it opened the door for Heathen’s creation makes it a particularly important project. I apologise for the babbling, I think I’ve been writing on here in order to simply kill time until my flight boards.